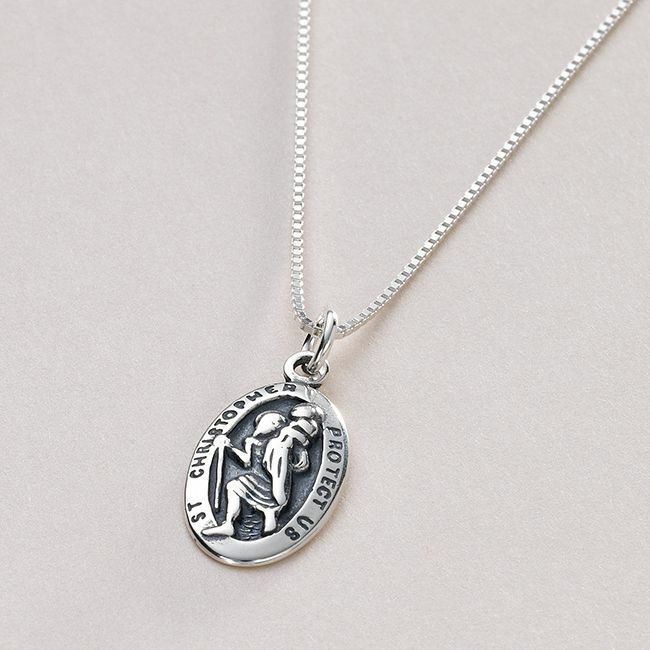 Sterling Silver Saint Christopher Necklace with Optional Engraving. Free engraving on the back. Ideal as a gift for a baptism, confirmation, first holy communion and many other occasions. Presented in a hinged gift box with the little gift card shown. Perfect for engraving special dates, names, love from..., or other messages to make an ideal gift or something special for yourself. Saint Christopher is known around the world as 'The Travellers Saint' and pendants are often given to protect the wearer against bad luck, especially during travel. A popular choice as a communion or confirmation present. 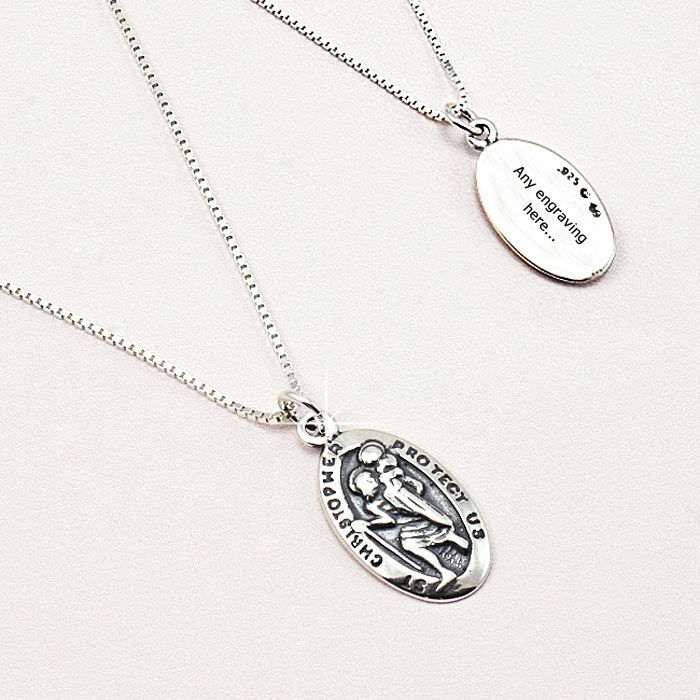 Part of our unique range of catholic jewellery. Chain Length: We stock these necklace chains in 14ins, 16ins, 18ins, 20ins, 22ins and 24ins.